A tribute to comedian Rik Mayall, who left a body of work that spanned four decades, including characters Rik in The Young Ones and Lord Flashheart in Blackadder. 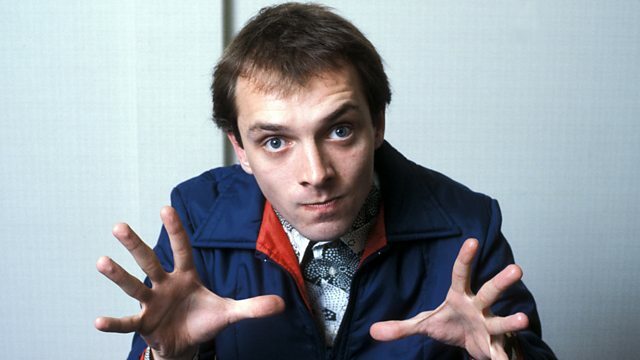 Comedian Rik Mayall died suddenly on 9 June 2014. Mayall's blend of rocket-fuelled physical comedy, surrealism, subversive satire and pompous punk wit left a body of work that spanned four decades. Mayall's characters include the Black Country's investigative nerd Kevin Turvey, Felicity Kendal-adoring student and 'People's Poet' Rik in The Young Ones, ruthless MP Alan B'Stard in The New Statesman, seedy loser Richie in Bottom, and larger-than-life characters Robin Hood and flying ace Lord Flashheart from Blackadder. Narrated by Simon Callow, this programme salutes Rik Mayall and celebrates his part in the UK's comedy history using rare and unseen archive footage. It also features contributions from people who knew or admired him, including Michael Palin, Simon Pegg, Lenny Henry, Ben Elton, Alexei Sayle, Christopher Ryan, Tim McInnerny, Jools Holland, Ruby Wax and Greg Davies.